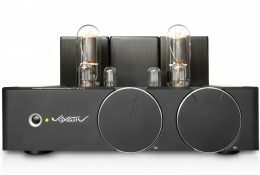 This mono block amplifier is based on an 80’s Audiostar idea. 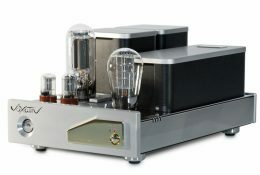 A 300B tube drives an 845 output tube. The 300B is responsible for excellent voice reproduction and the 845 brings up the needed power. 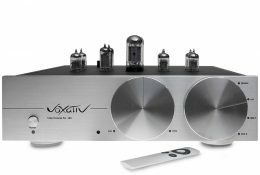 The music maker: Voxativ Ampeggio Preamp. A perfect partner for all tube and solid state power amps.